If you are a frustrated gardener who doesn't have a garden you may resort to having a window box instead. 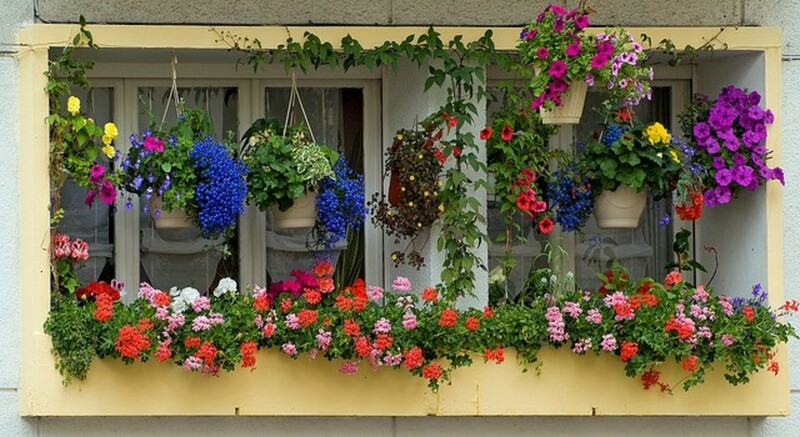 In fact why stop at one window box when you probably have more than one window? 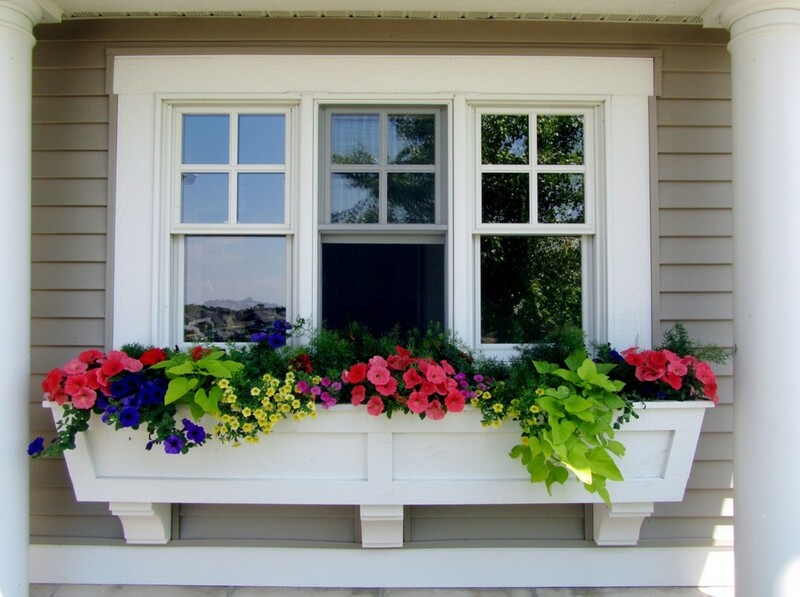 If you have four or five windows buy a window box for each of them, and this will allow you to try out all sorts of different ideas. 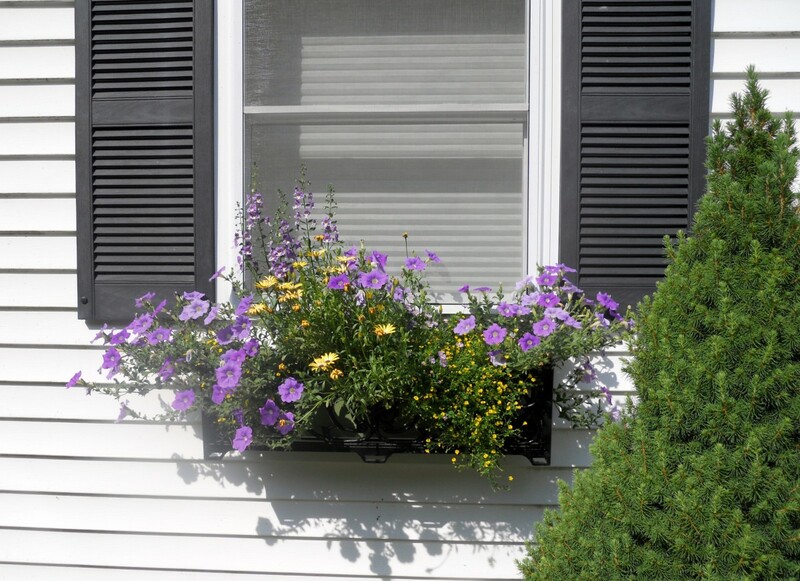 Once you have purchased your window boxes you will probably be wondering what are the best flowers or plants to grow in them. Many of the suggestions I will have in this hub could potentially surprise you, and I ultimately hope to inspire you to give this a try for yourselves. Even though you will only be growing your flowers or plants on a very small scale, you will be amazed how quickly you become fascinated by what is going on in your window boxes. You will look at them with pride, and positively 'glow' when anyone compliments you on them. If you are clever you can also use these window boxes to get your children/kids interested in growing plants, perhaps by allocating each of them a window box of their own which they are responsible for. 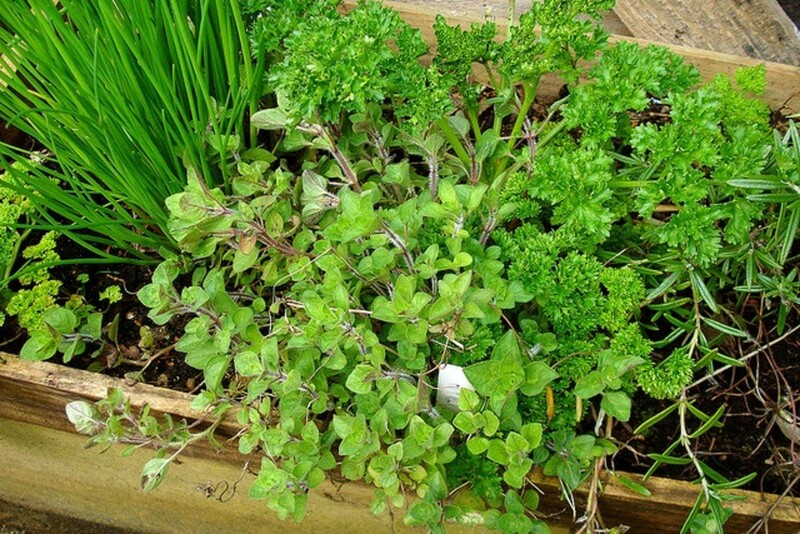 It is incredibly important in this day and age that we encourage our children to see the advantages of growing their own produce, and a window box is a great way to start them on the path to becoming keen gardeners in the future. 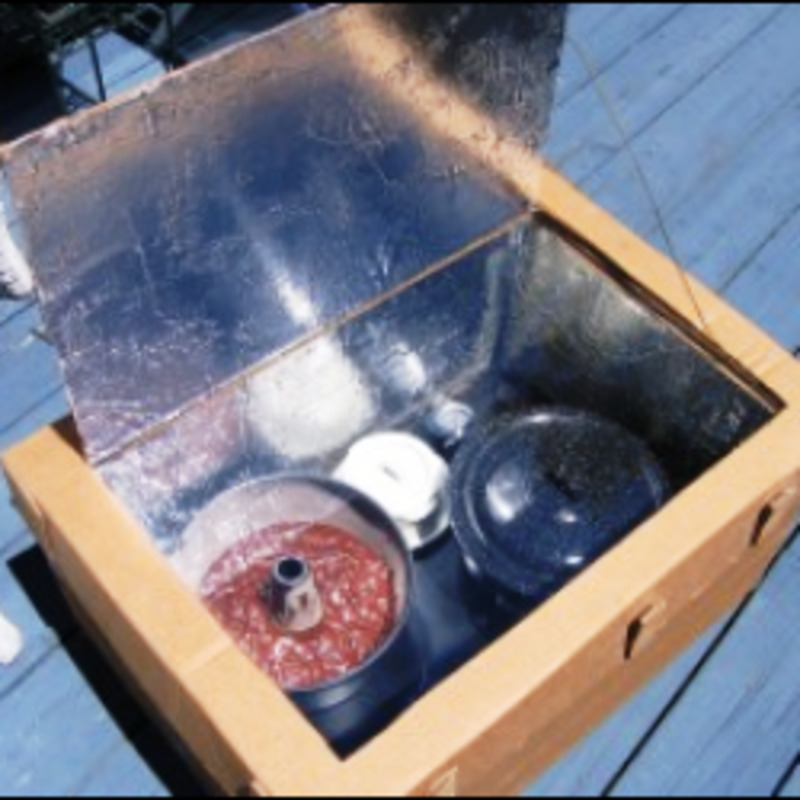 It is also a very effective way to get your children eating vegetables willingly, as they are far more open to trying vegetables they have grown themselves. 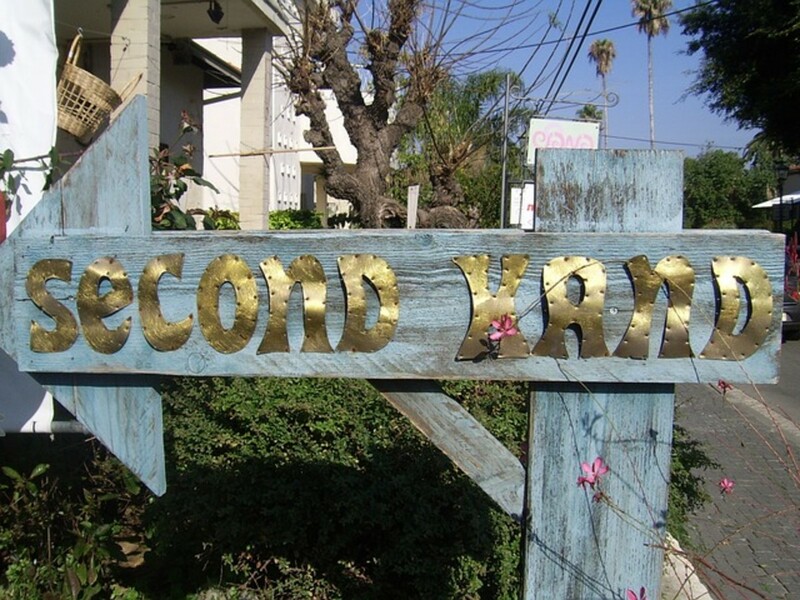 Depending on what you like most, i.e. 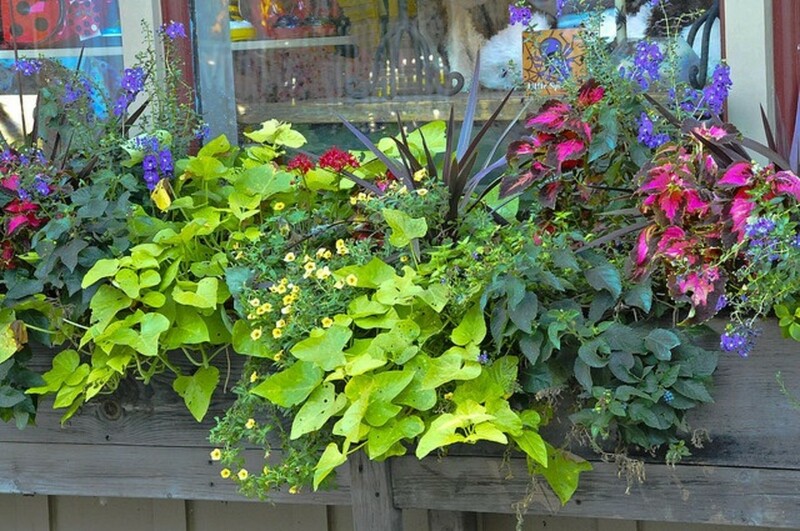 flowers or vegetables, you now need to decide what you want to fill your window boxes with. Of course if you have a number of window boxes you can always enjoy both options, and if you are involving your children in the process you can let them decide what they want to grow in their own individual window boxes. The next consideration to make will be which plants to grow, and depending on which you choose, whether or not to buy plants or seeds. Bear in mind certain plants simply have to be grown from seed sown where the plants are to mature, so you or your children will need to sow the seeds directly into the compost within the window box. The following are just some examples of plants and vegetables I have had great success with by growing them in window boxes. Radishes. These will be ready in under 6 weeks from sowing, but they must be sown from seed in the window box itself. Spring Onions/Green Onions/Scallions. These take anything from 8-12 weeks from sowing to maturity. Again they need to be sown directly into the compost in the window box. Cut and Come Again Lettuce. These are ready in varying amounts of time depending on the varieties you choose. The great thing is you can cut just enough young leaves for your salad, and then the plant will sprout new ones. Easy to grow and very tasty. These can be grown either from seed sown direct into the window box, or you can buy the young plants in from a garden centre or plant nursery. Shorthorn or Stump Rooted Carrots. The only successful way to grow carrots in a window box is if they are the very short rooted ones. I recommend varieties such as Paris Market Atlas or Chantenay Royals. Approximate time from sowing to harvest 16 weeks. American Land Cress. This lovely crop tastes very much like watercress, and although I haven't tried buying plants in, I do know it grows well from seed in many containers. This plant is another 'cut and come again' style crop so you get great value for money out of it. Approximate time from sowing to harvest 7-8 weeks. Rocket. A very nice salad leaf with a really good flavour. This is yet another 'cut and come again' variety, making it a very productive plant for your window box. Tumbling Tomatoes. Whilst you might only get a couple of plants to a window box, a tumbling tomato will provide you with a huge amount of delicious small tasty fruits. 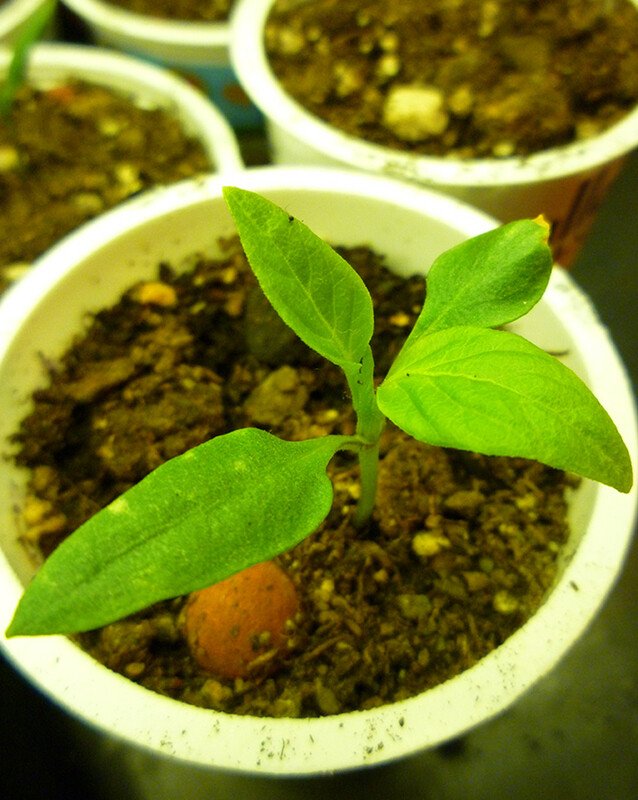 You can buy in the young plants, or you can start them from seed in pots indoors. Time from sowing to harvest approximately 8 weeks. Remember to feed regularly and water frequently. Chilli Peppers. These will work well in window boxes so long as you treat them much the same as tomatoes. Herbs. Whilst these are not strictly speaking 'vegetables', we do eat them, so I have included them here. You can take your pick from so many, e.g. chives ( with their pretty pink flowers), parsley, basil, sage, oregano etc. Violas (sweet violets). Essentially miniature pansies with delicate little attractive flowers that spread to fill the entire surface area of the compost. They have the added advantage of being very fragrant in most cases. Pansies. Larger than violas and very popular for container growing of any kind. Surfinias/Petunias. These trumpet shaped flowers come in a wide variety of colours, as well as being either scented or non-scented and upright or trailing. Truly one of the best plants for any container growing. Marigolds. Orange coloured flowers, very easy to grow and usually readily available from garden centres or mail order catalogues in a number of different shapes and styles. They often have a scent, although not one I personally find relevant enough to influence my choice to grow them. Miniature Daffodils. These have a double bonus because not only do they look beautiful, but they grow from bulbs so you can lift them at the end of each season and replant them the following spring. Dwarf Tulips. As with the miniature daffodils, dwarf tulips can be replanted years after year. They have the added advantage of coming in many colours. Geraniums/Pelargoniums. These come in a range of colours although mostly known for pinks, reds and whites. Very popular and cope well with minimal water. Dianthus. Essentially a dwarf carnation that comes in various colours. Many of these also have a wonderful sweet scent. Alyssum. A lovely carpet forming flower with a delightful fragrance. Perfect for window boxes. Impatiens. These bloom in shades of red, white and pink. They like part shade, and some varieties will produce flowers even in deeply shaded areas. Nasturtiums. These are easy to care for and have edible flowers as a bonus (use them on your salads.) They come with red, yellow or orange flowers. Lobelia. One of my favourites as they are just so perfect with their tiny flowers of blue, white or pink. Festuca Glauca. A beautiful blue/green grass that will last for years if you care for the window box correctly. Stipa Tenuissima. This pale green grass has lovely feathery foliage and very attractive seedheads on the ends of the fronds. 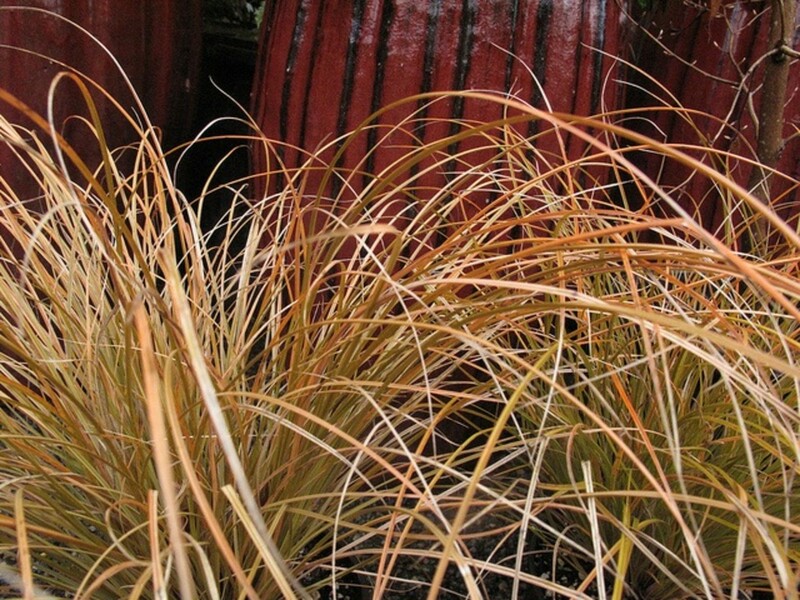 Bronze Carex. Reddish bronze in colour and very striking to look at. Ivies make lovely window box plants because they are evergreen, and they can either be grown alone as trailing plants, or they can be intermingled with flowering plants. They require little water, and depending on the variety can be quite fast growing. They also come in either plain greens or variegated leaf colourings. English Ivy. This is probably one of the most popular for all the reasons I describe above. Variegated Algerian Ivy. This is an attractive variegated ivy ideal for a window box. Trailing Ivy 'Silver'. Very eyecatching with lovely mottled silver leaves splashed with green and white. Ivy 'Glacier'. A plant which has beautiful gray-green leaves with silver to creamy white patches. I could continue this article forever, and just realised I was in danger of doing exactly that. For this reason I have stopped at this point, and hope I have already provided you with plenty of great ideas for your various window boxes. 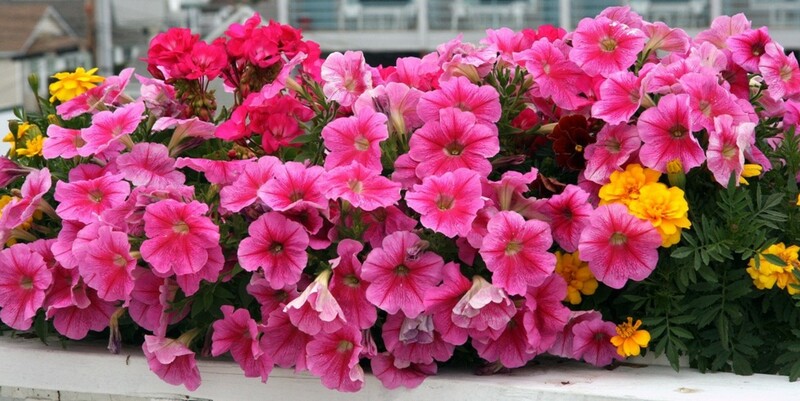 Don't forget to check which plants and flowers are appropriate to the season you intend your window box to be at its peak. It is going to be of no use to you whatsoever to plant a summer plant in the winter for instance, so be sure the plants you choose will thrive in the season you have chosen to grow them. Also remember to check out whether the plants you have decided upon need sun, shade, part shade etc. Other plants that I did not add to this article (and that are a little different for a window box), include hostas and cacti. You might want to add these to your list of possibilities. I just did my first window boxes and I wish I had found this first! 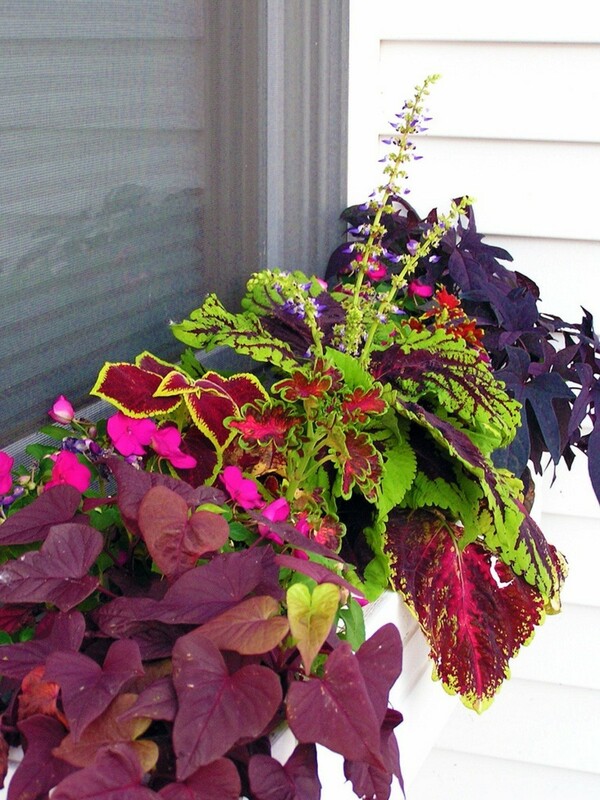 I did do some coleus which I didn't see mentioned but can be nice for partial shade. Next time I want to do marigolds though! Thanks moonlake, I imagine plants like Hostas would look really nice in 'shady' window boxes and would be out of the way of the slugs and snails too. My boxes are in the shade so I grow flowers in them for the shade. Enjoyed your hub voted up. Thanks Deb, never heard of grape tomatoes, are they the same as 'cherry tomatoes'? love this hub.. I have grown a lot of different plants in wood boxes.. my favorite was pansies. .. the grape tomatoes are good.. I love this hub and I love all your picks for the garden. I voted up and am sharing! LOL, totally agree re-the watering cans. I ended up using a hose in the end for mine, especially as I started expanding into all sorts of other outdoor containers as well as the window box. In France people take their window boxes very seriously, and you see lovely combinations of brightly coloured geraniums and petunias with more drought-resistant succulents. I tend to go overboard on the former and then by mid-summer, as I lug a heavy watering can around, I wish I'd stuck to the latter! Misty: I guess one might describe me as being extremely practical. When it comes to gardening it has always been my belief that: "If you cannot eat it, don't grow it. Therefore my advice would be to grow herbs or vegetables, or fruit like tomatoes that once grown you can nourish your body with rather than something that looks pretty till it dies. Of course that's just me being practical. 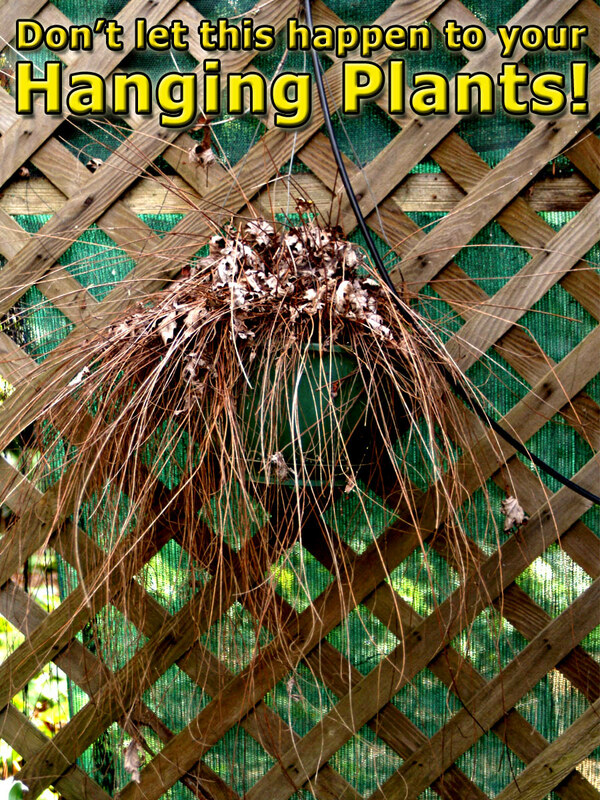 I garden year round indoors in New Hampshire but this article wa very helpful. Thank you. Please give it a try Lizam1, you will be amazed at what you can achieve if you just remember to add some plant food granules into the compost mix and water thoroughly daily (if the compost is drying out.) Really that is all there is to it providing there is sufficient sunlight, and even then certain plants like lettuces cope well with part shade. Beautiful hub. I am not green fingered and always dream of lush planters on my balcony and patio. Maybe this is the year:-) Thanks. 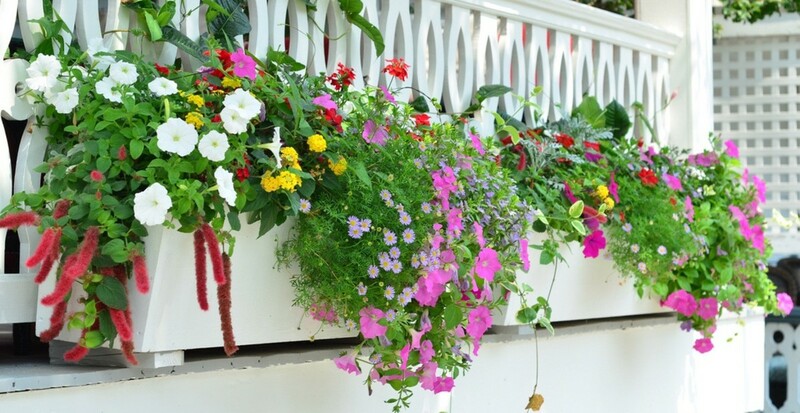 Since I have a wrap around porch on my house I often hang window boxes off the railings. I've never thought about growing vegetables in them before, but after reading your hub I think I'll do that this year. Up and useful! Thanks for the great ideas!